There’s been a lot of stereo bluetooth headsets being released over the past few weeks, especially since many phones now support the technology. 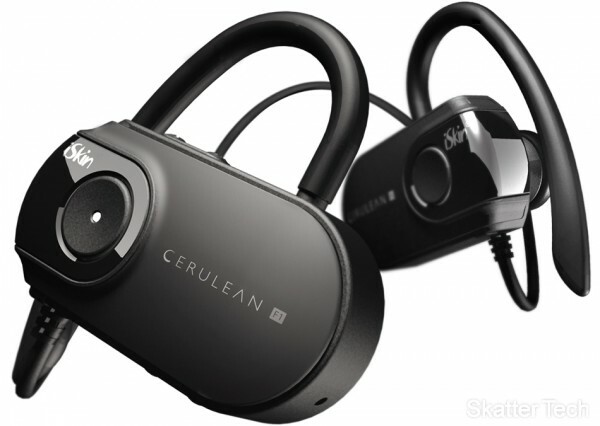 I had a chance to play with iSkin’s CERULEAN F1 Bluetooth Earphones this week at MacWorld. iSkin’s gizmo can be paired with both an iPod and a Cell Phone at once, allowing you to listen to music and answer calls without removing your earphones. To offer further freedom, the F1 has volume, playback, and answer/end controls embedded in the headset. The earphones will pair with any device such as laptop which has Bluetooth 2.0 with A2DP support. The headset weighs just 35 grams yet has a fairly powerful 15mm driver for crisp and clear sound. According to iSkin the earphones will work up to 33 feet away from your device and with the built in controls, you won’t even have to touch your iPod. The CERULEAN F1 should also work with VOIP application such as Skype, eliminating the need of multiple bluetooth devices for different devices. The headset offers 6 hours of music playback and 10 hours of talk time. The gizmo can be charged using USB cable with a computer or with an included DC wall charger. 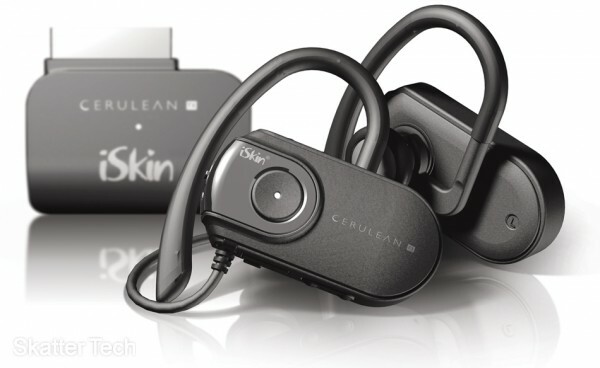 Both the Cerulean F1 and the TX iPod Adapter are available for purchase from iSkin’s website (iSkin.com). The earphones themselves cost $129, however if you would also want an iPod adapter it will cost $189. We’re trying to get a hold of one of these, so check back for a in-depth review soon!